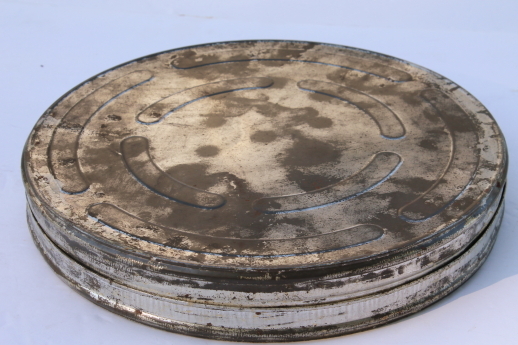 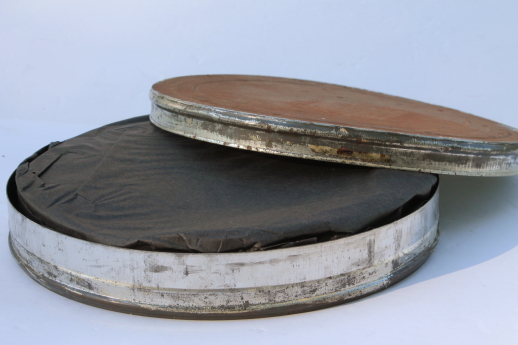 Vintage bulk film canister for 35 millimeter film, with the original film. 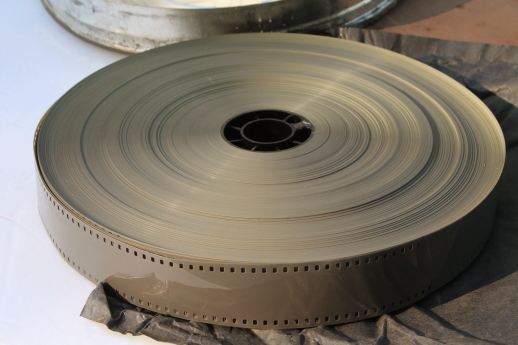 This film was exposed years ago in storage and has turned a nice industrial machine age gray. 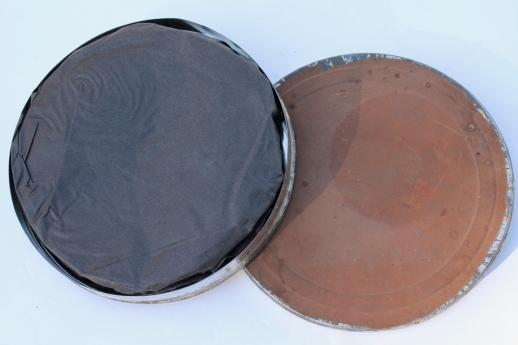 Great for altered or mixed media art projects. 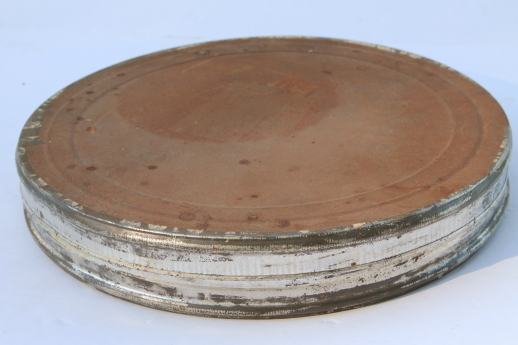 The tin measures about 10 3/4" in diameter with wear and tarnish.